2018 gaming wise hasn’t been one of my finest years, and compared to previous years my game purchases and consumption of said games, hasn’t been the highest. I did add an Intellivision, Colecovision, CD-i, and Odyssey 2 to my collection, and made it to Midwest Gaming Classics but for the rest of the year finding time to game wasn’t easy. In the gaming community it’s been a somewhat lackluster, and even sad year as well. Legends like Billy Mitchell, fell from grace with somewhat questionable high score practices on arcade games. Ted Dabney one of Atari’s founders, past on. Fellow founder Nolan Bushnell was denied an industry award for alleged sexism in the workplace during his ten year at Atari, even though those involved say it was mutual. Toys R’ Us, a place many of us bought systems and/or games went out of business. Than, of course last but not least one of retro gamings premier podcasts The Retro League stopped production without any warning, and taking down all old content at the end of November. It’s also been a year of mediocre retro-gaming merchandise, with systems such as the Arcade1Up, Ataribox, Retron 77’, and a number of PnP systems hitting the market with a thud. To a gamer and collector though, New Years is as much a new beginning, as it is in other areas of life. So the hopes are that 2019 will perhaps be a more cheerful and eventful year for the hobby. With that said though I’d like to do my annual review of last years resolutions and how they stacked up, and develop some new ones for 2019. -Atari and NES Focus – Sure I mentioned growing these in 2017, but for this year I’d like to mainly focus on the Atari 2600 and NES, and possibly the Atari 5200 for collecting. December 31 Result: I added about 20+ games to my 2600, including 3 super-charger games but have yet to test and play them. I added about 5 5200 games, same with lack of play time, and about 15 NES games same result. –Get a Moon Patrol Arcade Cabinet – With the money and time this may happen, but again collecting arcade machine is a lot more expensive than spending $10-$20 on an individual game. December 31 Result: Not many of these out there and a shockingly small collection of arcade games at MGC. So not this year. December 31 Result: Yup, made it but do to horrible weather I had to stay over that Sunday too. It was nice to be able to move to and from MGC via the connected walkways too. –SNES at 100 – This too is something I’ll try for. December 31 Result: I bought 1 SNES game in 2018. –Colecovision – Ever since I did my YouTube video on Star Trek: Strategic Bridge Simulator I’ve been wanting to play the port of the game that was on this system. I didn’t want any new systems in a last year, but this year the Colecovision is one on my list. December 31 Result: Yes, no good deals at MGC so I had to buy one on eBay later. –Steel Battalion – Have original XBOX will use it. I’m hoping to find the complete setup and game for this. December 31 Result: At nearly $300 a set this was a no. 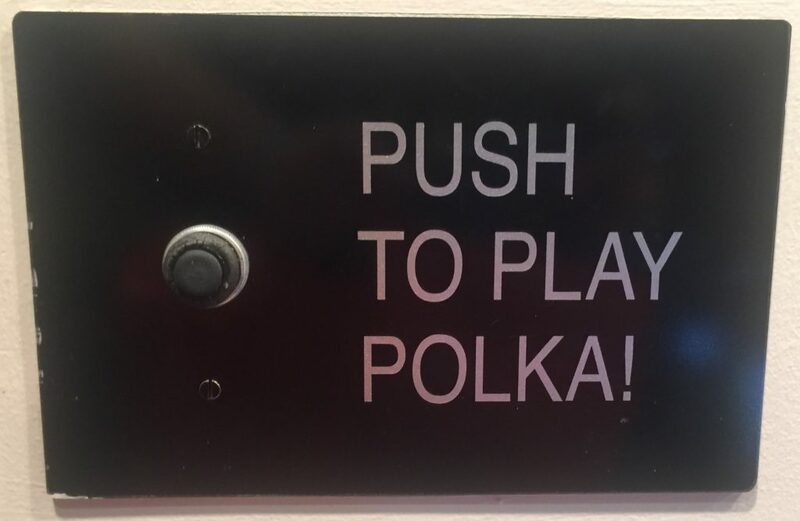 –Not so Fun Fixes – Yes, another goal for this year is to fix and move my arcade systems around/ My Swing Along pinball machine needs some professional TLC, my Air Combat machine needs caps. And my X-Arcade needs to be moved to the basement with the other machine. December 31 Result: I was able to fix the pinball machine on my own, super silly easy fix, took less than 5 minutes. 2018 was a hit and miss as far as these resolutions. SNES at 70, 80, 90, and maybe 100 – With the one unplayed and untested SNES game I have factored in I have a total of 59 SNES games right now. Perhaps grabbing 11 more, or one a month, over the next 12 months reaching 70 would be a good goal. Of course on of the biggest factors that has kept me from 100 with the SNES is quality of games, since I don’t want to simply fill that 100 with crappy (mostly sports) title, but actual good games. It’s not to say that the SNES didn’t have great games, but many of those good games sell at a premium. Backloggin’ It – I have a Odyssey 2 with games that is unplayed, and Colecovision, Intellivision, SNES, NES, Atari 2600, PS1, Saturn, and a few others in the unplayed mix. As a matter of fact it’s time to bring back the backlog spreadsheet, and plan time to play through. Goal 0 unplayed games in backlog as of December 31, 2019. 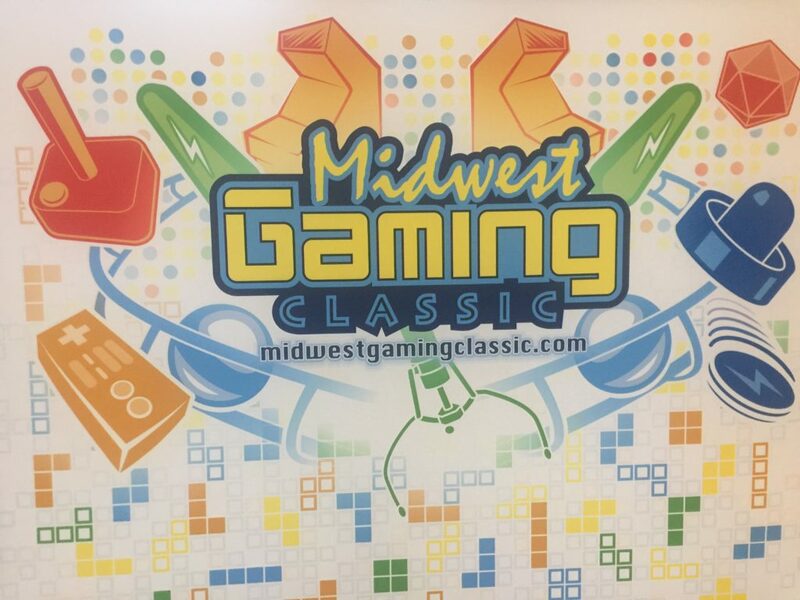 Midwest Gaming Classics (again) – Its the same weekend as Star Wars Celebration Chicago, I mean WTF. Whether I go to one or the other or neither this one is a lower resolution. Another Gaming Convention – New gaming conventions seem to appear year by year so I’m hoping for one closer to come, but there is another named the Video Game Summit, that fairly close to me and has been going on for 5 years or so. Having only experience MGC a much larger convention I think I’d like to see what a smaller convention can offer. Plus this one occurs during mid-Summer so no snow storm worries. X-Arcade Time – I think I found some specific moving help to get the machine moved, but I also need to program the Raspberry Pi I picked up for it. How knows, maybe I can knock this one out in January. NoiseFromTheBasement.Com – Hopefully some time will be opening up soon for me to invest in this. What about you? Do you have any gaming resolutions for this year? Games or systems to buy, collections to complete, gaming housekeeping, or games to finally finish? Let me know in the comments below. I have never given a thought to gaming resolutions. My focus has always been on collecting games for my Megadrive and PS3. 1) Continue collecting UK Exclusives for the PS3. Great article btw and I look forward to seeing how you progress throughout the year. Those are actually three great resolution! Gunstar Heroes has been on my wish-list for a while as well, and maybe I should take inspiration from you on that and make this the year of the Genesis (Megadrive) since my collection is a little thin there. 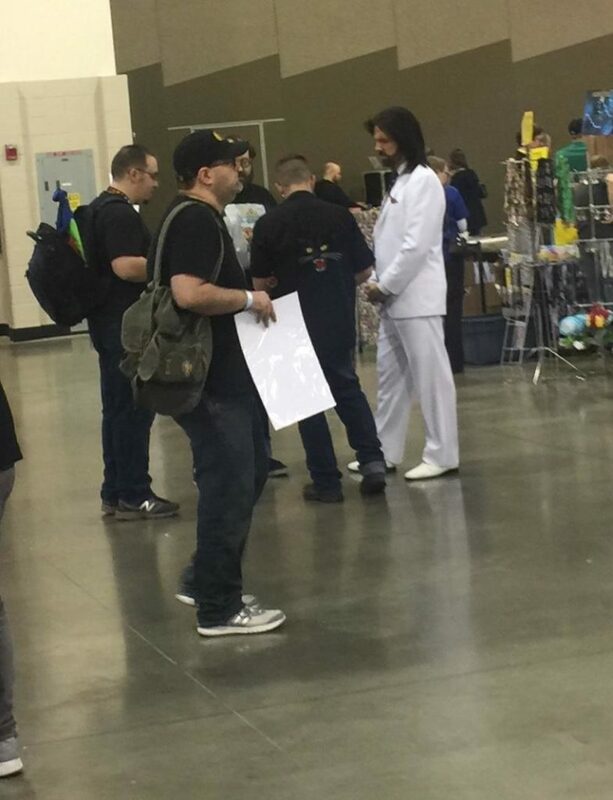 Have you ever attended a gaming convention before? I tend to have a lot of fun at them, and occasionally you find some good deals. Thank you for reading, and yes be sure to check in. No I’ve never attended. They are usually in London or way up in the north of England. And since I live out in the sticks access is a tad difficult.